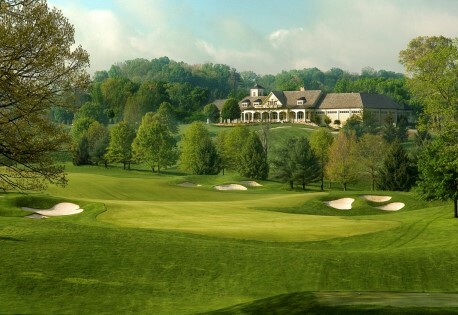 The Virginian Golf Club is an award-winning, private golf community set midway between the historic cities of Bristol and Abingdon, Virginia. Located just 95 miles north of Asheville, NC, The Virginian features a magnificent golf course designed by Tom Fazio that has been honored as one of the Top 100 in America by several national publications. The social and recreational hub of the The Virginian Golf Club is the 44,000-SF stone and wood clubhouse. Designed by Atlanta architects, Chapman Coyle Chapman, the clubhouse over­looks both sides of the course and features exclusive dining facilities, men’s and women’s locker rooms, the pro shop, bar (for snacks and drinks), administrative offices and Boardroom. One of the busiest spots in The Virginian community is the Family Center, which features two pools (one Junior Olympic size, the other a children’s pool, which is conveniently located between the main pool and the playground), a Fitness Center with the latest Nautilus and Cardiovascular equipment, and two clay and two hard surface tennis courts. The Virginian also offers a wide range of custom homes, cottages, and homesites. Homes are carefully sited to preserve the character of the land and to maintain the natural landscape and panoramic golf course views. For more details, see the real estate section below. Bristol is more than a tale of two cities, it’s really a story of one city in two states and it offers the best of each state. With history dating back to the 1700s, Bristol’s unique position, astride the border of Virginia and Tennessee, adds to the city’s distinctive character. Bristol is surrounded by the beautiful Appalachian Mountains and has one of the largest man-made lakes in the nation, South Holston. For more details, see the About the Area section below. The Virginian offers a wide range of custom homes, cottages, and homesites. Homes are carefully sited to preserve the character of the land and to maintain the natural landscape and panoramic golf course views. Bristol is more than a tale of two cities, it’s really a story of one city in two states and it offers the best of each state. With history dating back to the 1700s, Bristol’s unique position, astride the border of Virginia and Tennessee, adds to the city’s distinctive character. Bristol is surrounded by the beautiful Appalachian Mountains and has one of the largest man-made lakes in the nation, South Holston. The Birthplace of Country Music Alliance keeps the local music traditions alive today through a museum and pickin’ porch concerts. Bristol’s Rhythm & Roots Reunion Festival features a variety of local and national acts during its three-day September festival. Bristol Motor Speedway is known as the “World’s Fastest Half Mile Track” and its August night race is known as the “toughest ticket to get in sports.” NASCAR’s circuit comes to town every spring and late summer and with it comes 160,000 fans. If you live at The Virginian, you can almost fish off of your back porch. South Holston is less than a ten minute drive away and if it swims in fresh water, it can be caught here. Great fishing, boating, skiing and miles of pristine coastline; this TVA Lake offers an array of activities. The Paramount Center for the Arts features nationally known singers and musicians. It also hosts Broadway touring shows and Theatre Bristol, a local community theatre group. Ballet companies and dance ensembles also perform on the Paramount Center Stage. The Tom Fazio-designed golf course opened in 1993 and the awards started to roll in the next year, beginning with Second Best “New Private Course” in America by Golf Digest. Here are the most recent accolades. The Virginian, Bristol VA has announced its new Discovery Package for two. 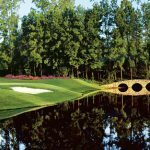 The package includes two nights’ accommodations in a cottage with a free lunch at the clubhouse and a round of golf for two on the recently named “Most Challenging Course” in Virginia. Your palette will be entertained as well with a wine tasting and dinner at The Tavern in Abingdon. You’ll also enjoy full access to on-site amenities and a VIP real estate tour. Package cost per couple is $500. Send me more information about The Virginian!